Grew Up… as a shapeshifting sentient robot on the planet of Cybertron. 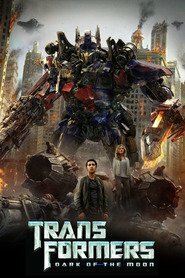 Optimus used to lead Cybertron’s science division, studying the all-powerful AllSpark, until their leader, Lord Protector Megatron, was corrupted. 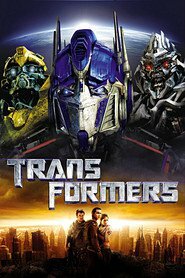 When Megratron attempted to seize the AllSpark to conquer all worlds, Optimus Prime lead a team of robots to stop him. 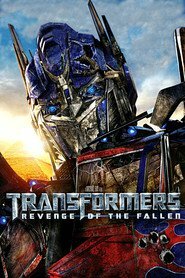 Since then, the two Transformer factions have been at war with each other – Megatron’s Decepticons looking for the AllSpark, and Optimus Prime’s Autobots trying to stop them. Living… in hiding. Optimus is relentlessly trying to find the AllSpark to save Cybertron from destruction. Megatron, the leader of the Decepticons, came to Earth to find it, but ended up getting frozen in the ice. When the Decepticons manage to wake him up, Earth’s survival is placed in jeopardy. Profession… natural born leader. While Optimus’ primary concern is saving Cybertron, he is also worried about mankind’s fate. To save Earth, he teams up with Sam Witwicky, the great-great-grandson of an explorer who had the location of the AllSpark imprinted on his glasses. Interests… achieving peace and ensuring that Decepticons do not run the Universe. Relationship Status… single. Optimus’ most important relationship is with his brave team of Autobots. If Optimus Prime is a kind of mechanical King Arthur, then the Autobots would be his round table. The Autobots are loyal and willing to sacrifice everything in order to save mankind and thwart Megatron’s return. Challenge… stopping Megatron. The Decepticons managed to wake up Megatron from his frosty sleep. The time is clicking before Megatron achieves his mechanized apocalypse, thanks to the AllSpark. 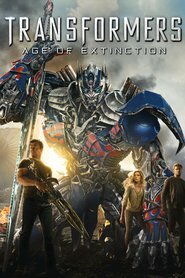 Can the Autobots align with humans to save the planet? Personality… brave, selfless, and unafraid. A skilled warrior, he only fights in self-defense, or when defending mankind. Noble to a fault, he says of humans, "Were we so different? They're a young species. They have much to learn. But I've seen goodness in them. Freedom is the right of all sentient beings. You all know there's only one way to end this war: we must destroy the Cube. If all else fails, I will unite it with the spark in my chest." Optimus Prime's popularity ranking on CharacTour is #308 out of 5,000+ characters. See our top-ranked characters and read their profiles.